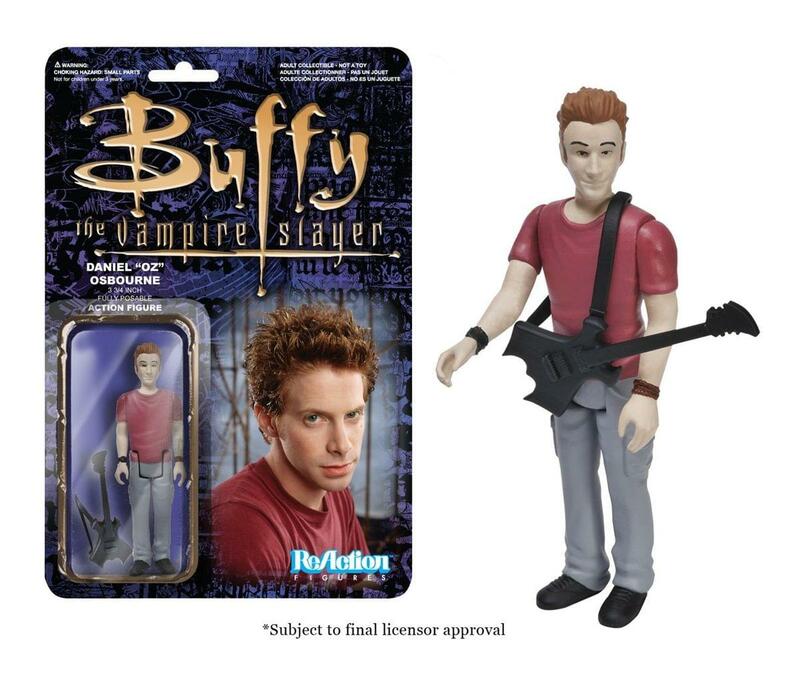 Go back in time and reminisce about the good ol' 90s with this Buffy the Vampire Slayer Oz ReAction Retro Action Figure! 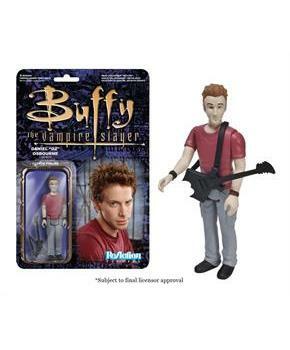 Featuring the likeness of Seth Green from before his Robot Chicken days in a simplified retro Kenner format, this Oz Action Figure is a must-have for all Buffy the Vampire Slayer fans! This 3 3/4-inch tall ReAction Oz Action Figure has 5 points of articulation, comes with an electric guitar accessory, and features the 1980s style card back design, with a coffin-style blister where the action figure is displayed! Each card back features a memorable look of the character from the classic TV series.